Do you actively promote your website on social media? Let me guess… You probably have profiles on Twitter and Facebook and assume that your bases are covered. If you own a B2B business, I have some news for you: They’re not. When it comes to lead generation for B2Bs, no social media platform can hold a candle to LinkedIn. With more than 450 million users worldwide, including more than 128 million in the U.S. alone, and more than 106 million unique visitors per month, the business networking site is a veritable hive of activity. I can already hear your groans of protest, and I get it. Who wants to create and maintain yet another social media profile? I’ll tell you who: Savvy B2B owners who want to generate leads with ease. That’s right: You don’t have to devote a lot of time or money to generate promising leads through LinkedIn. Find out how by reading on below. The last thing I want to do is send you barking up the wrong tree, so the first order of business is to determine whether or not it makes sense for your business to try generating leads on LinkedIn. Unlike places like Facebook and Twitter, LinkedIn is not the place to blatantly promote your business. If it looks like you’re clearly just there to generate leads, your efforts will fall flat. 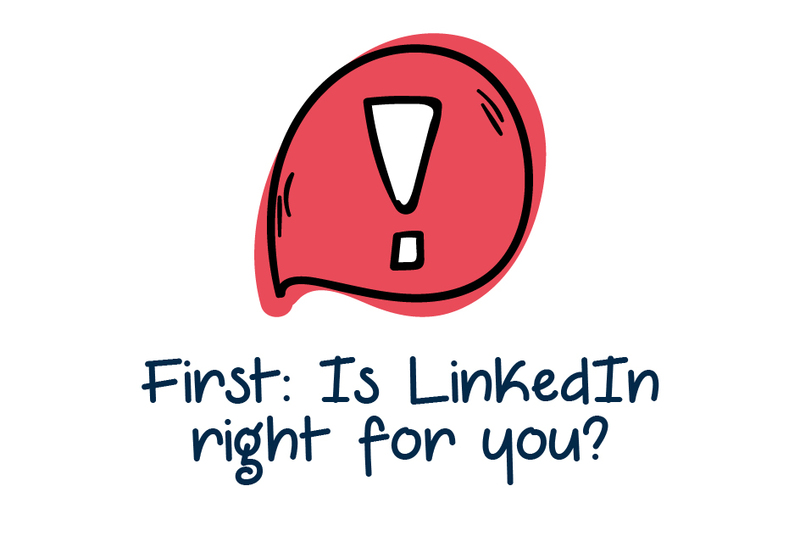 For all intents and purposes, generating leads on LinkedIn only makes sense for B2B companies. After all, it’s a social network for networking with other professionals and other companies. Numerous case studies have revealed that LinkedIn drives more leads to B2B companies than any other social network. Considering how easy it is to do, I firmly believe that all B2B owners should embrace it. Below, I will show you how it’s done. The majority of the following steps can be completed in just a few hours. Depending on your content situation, you might even be able to get all of your ducks in a row in just a few days. Like many folks, you may already have a LinkedIn profile that is essentially dormant. Shake out those cobwebs and optimize your profile to lay the groundwork for lead-generation success. Use your real legal name, and always include a profile picture. LinkedIn profiles with photos are 14 times more likely to be found and 36 times more likely to receive messages. If you have a professional headshot, use it. If you don’t, seriously consider having one made. Otherwise, have someone photograph you dressed in business clothes in front of a white or plain backdrop. For your “professional headline,” include your job title. What title, you ask? Your title should be similar to the job titles of those with whom you would like to connect. If you mostly want to meet CMOs, then, your job title should be something similar. Be specific… CEO, Marketing Manager, Director of SEO, and so forth. Make sure that your job title states your exact position in your company or shows what your profession is. Fill out your profile completely to show that you are legit. Include a line stating that you are eager to connect with others. Encourage people to contact you. LinkedIn allows you to add samples of your work to your profile, so upload some videos, images, presentations, certificates or other documents that demonstrate your authority in your field. Before you finish, edit the URL for your profile for SEO. It should relate to the nature of your business in some way. When it comes to generating leads on LinkedIn, many will tell you to join and be active in as many groups as possible. You definitely should, but setting up your own group is even better. What type of group should you create? It should relate to your business, niche or industry in some way. One of the most important things here is naming your group. It should sound official and authoritative. If your interests are local, include geographical indicators too. Complete the rest of the form, which has about five fields. Upload a custom logo. If you don’t have one, you can have one made on Fiverr or a similar site. An empty group is unlikely to draw people when you send invitations, so upload at least a few pieces of content to get it going. With your group completed, go back to your “professional headline” and add “founder of” whatever the name of the group is. This will pay off handsomely later. Be very careful when completing this step. You don’t want to be labeled as a spammer. Use the search feature at the top of the page to find viable prospects. Click “Advanced” for more in-depth search tools. Narrow down your search by industry, location and title. For the latter, choose a title that most closely matches those with whom you would like to communicate. Create a simple spreadsheet, and store each promising contact in it. Remember how you added the name of your group to your professional headline? With any luck, this is when it will come in handy. When attempting to connect on LinkedIn, you only have 300 characters to state your case. You will be asked how you know the person. Since you obviously don’t know them, select “friend.” You won’t have to provide an email address that way. Quickly peruse the prospect’s profile, and mention something from it in your message. Otherwise, simply state that you believe that you may benefit from connecting with one another and see what happens. This is the part that requires a little patience. Over the course of a few weeks or months, slowly develop relationships with the connections that you have made. Use your new group as an excuse for initiating a conversation. Invite each prospect to check it out, and explain why you believe that they would benefit from doing so. Other ideas for messages include following up with something that you talked about previously, suggesting useful resources or stories that you have found and recommending specific discussions within your group. Now that you have the basics down, I’ll go ahead and give you some additional pointers for making the most out of your lead-generation efforts on LinkedIn. Promote your group – Get into the habit of posting statuses about your group. Find relevant groups and inquire about cross-promoting each other’s groups. If you are willing to spend a little though, consider promoting your group with LinkedIn ads. Keep connecting – Always be on the lookout for new LinkedIn connections. When someone gives you their business card, find them and connect with them on the site. Check the “People You May Know” section often. Browse your current connections for new potential prospects and ask for introductions. Cheer others’ accomplishments – As you get to know your connections, you will be in the loop whenever someone announces a major accomplishment. Get your name out there more by congratulating the person and tagging them with an @ mention whenever this happens. Write recommendations – When it makes sense to do so, write recommendations for connections on LinkedIn. People often reciprocate, and that lends more legitimacy to your profile. Connect your other social media accounts – If you are already on Facebook and Twitter, connect those profiles to your LinkedIn profile to cast an even wider net. Whenever you post a new status on LinkedIn, updates about it will automatically be posted on Facebook and Twitter. Join industry groups – Flesh out your presence on LinkedIn by joining and being an active member of groups that are relevant to your business, niche or industry. Finding relevant groups is easy, and you don’t have to devote much time to them to see results. The last tip deserves a little more space. People are more likely to click through to your website and landing pages when you come across as a true expert or authority. One of the best ways to do this is by producing and sharing top-notch content via LinkedIn Pulse. Don’t republish content that you’ve posted elsewhere on Pulse. 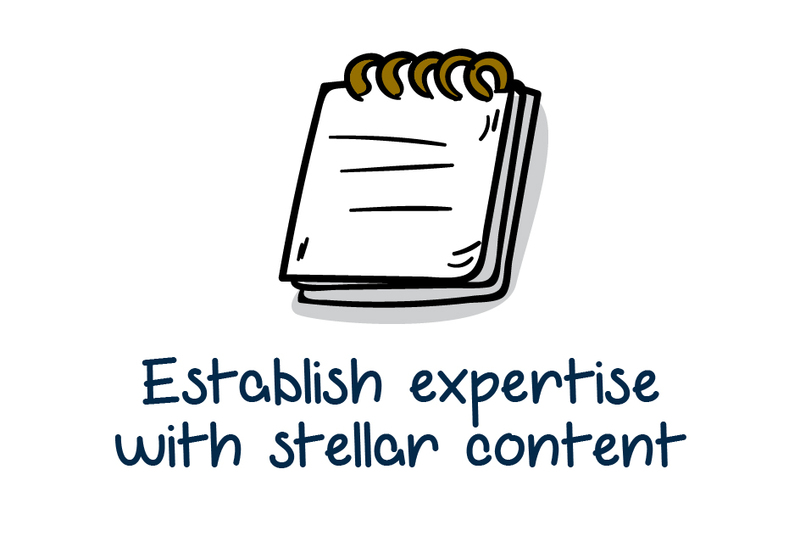 Instead, create and share brand-new content that you have specifically developed for LinkedIn. If you have relevant content that you have never published elsewhere, now’s the time to put it out there. If you lack the time or bandwidth to produce a slew of new content, find relevant stories and share them instead. Just include your opinion about the piece, and find a way to tie it back to your niche or industry. Incredibly, there’s not much more to it than that. As with any other type of marketing effort, remember that results won’t be instantaneous. Patience, persistence and diligence are essential. Over time, though, your activities on LinkedIn should generate all kinds of promising leads for your business. 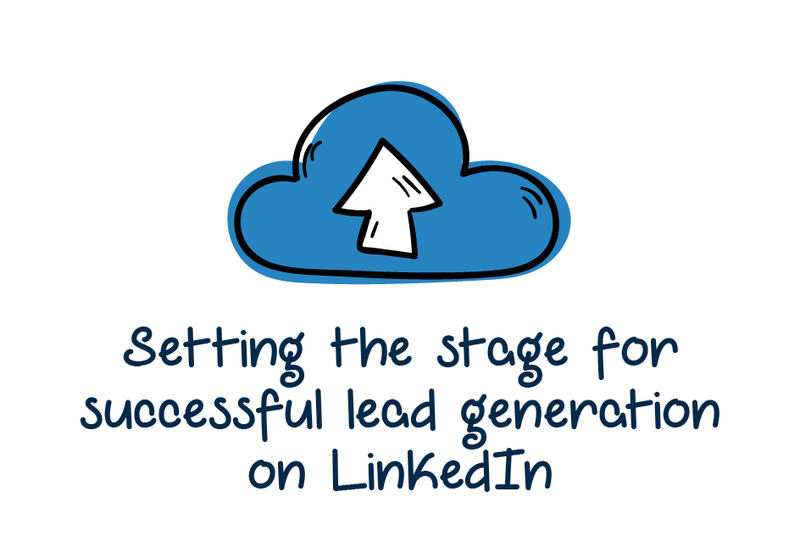 If you’re already on LinkedIn, do you actively use it to generate leads?